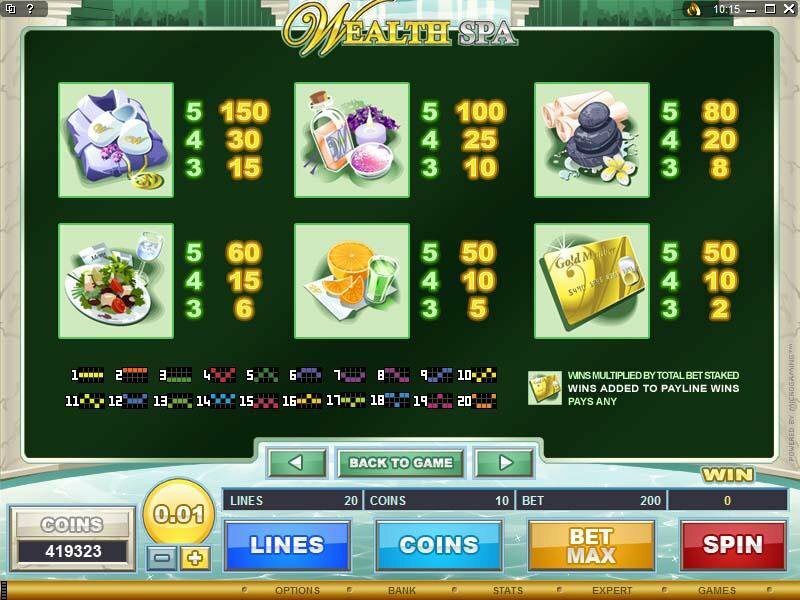 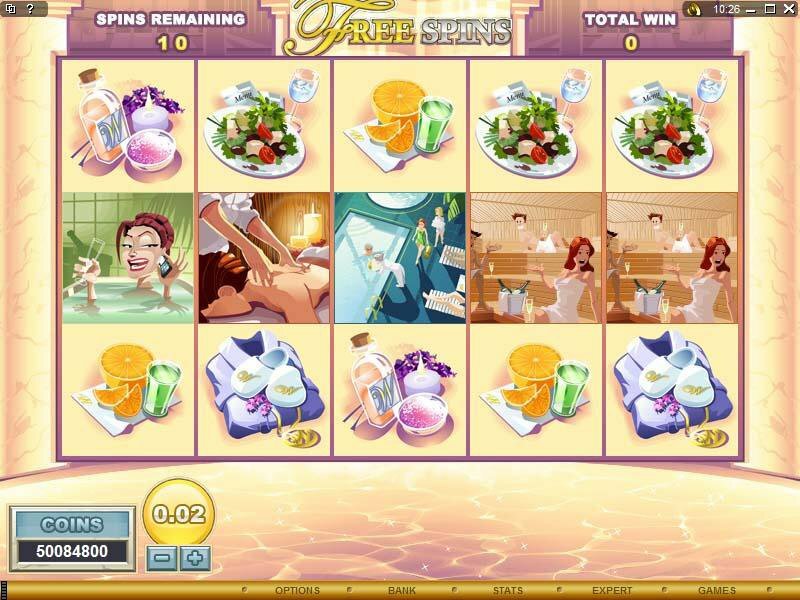 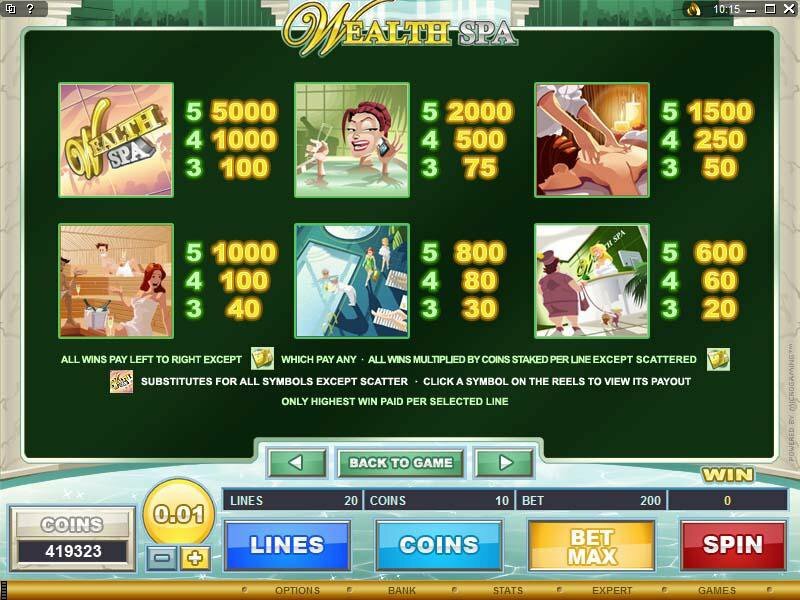 Overview: WEALTH SPA introduces a rewarding new multi-bonus opportunity which players can take at any time during the game, opening up a series of five different bonuses, each with its own entertaining choice of potential rewards. 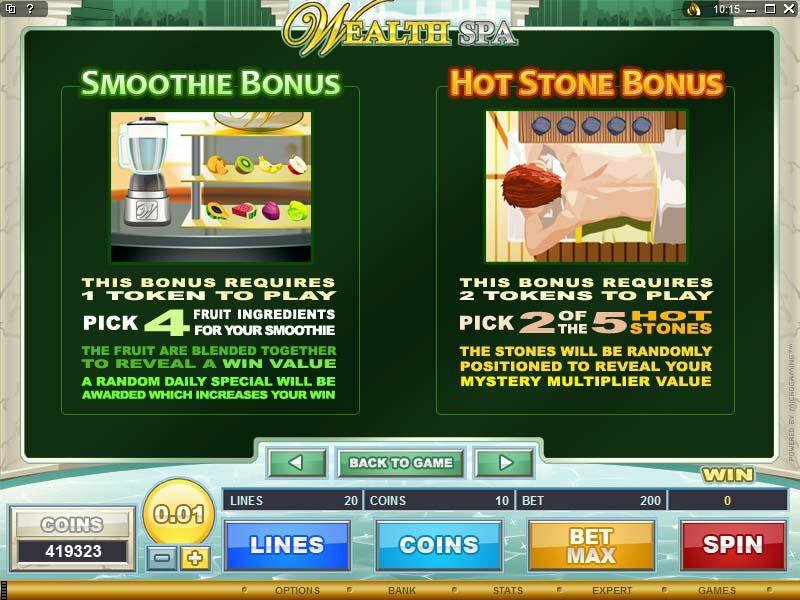 Players with two golden tokens can access an invigorating hot stone bonus, choosing 2 stones from the five available to uncover a mystery multiplier value. 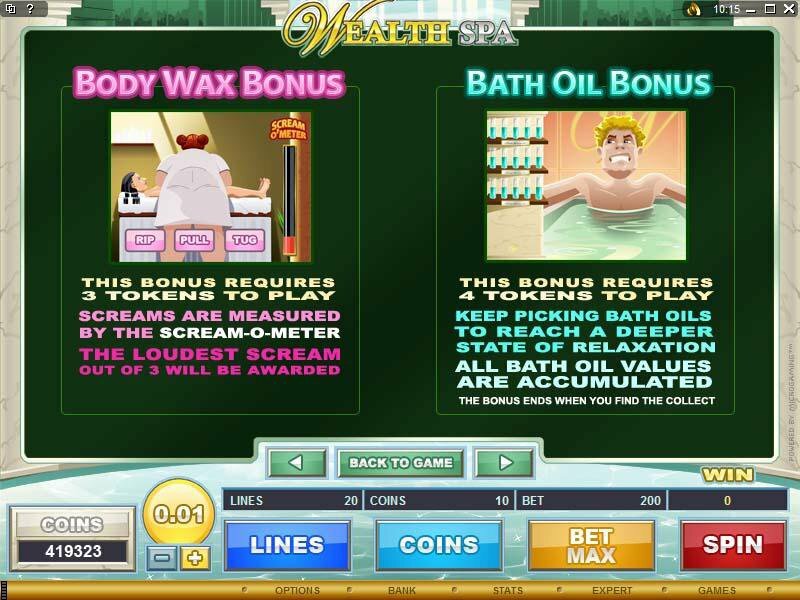 Three tokens gives access to a hot wax treatment where the loudest yell on the Scream-O-meter denotes the prize. 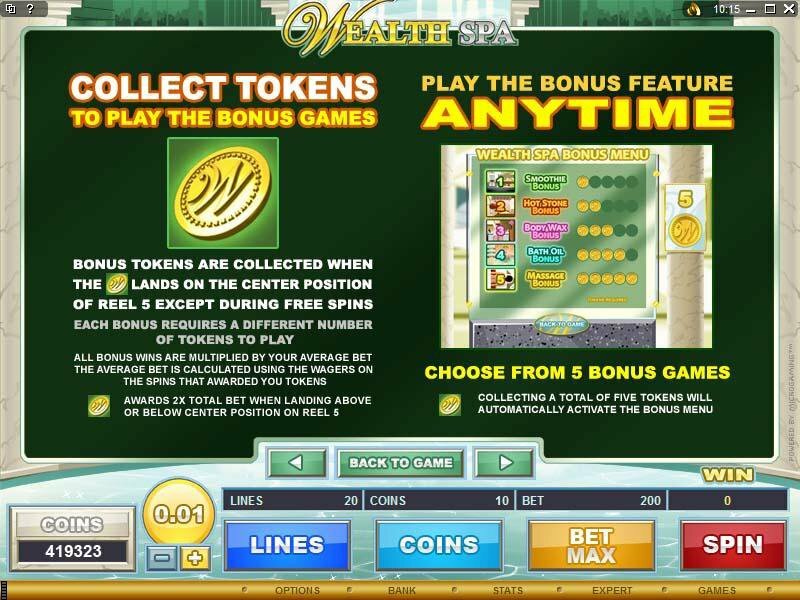 4 Token-holders enter the luxurious hot oil bath bonus, choosing from a range of 15 exotic oils, each with a reward, while the feature lasts, and top earning 5-token winners enter a massage room to focus on a client's back, where up to 25 Free Spins can be awarded from a random dappling selection. 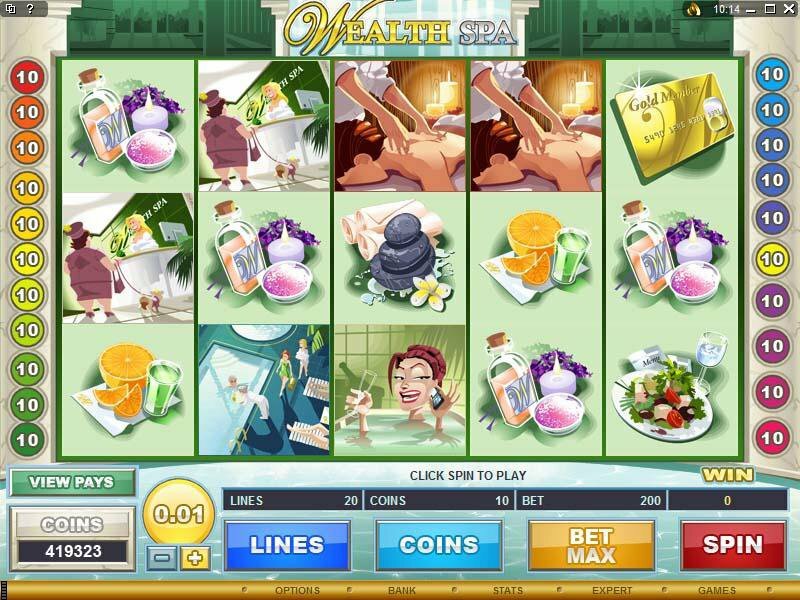 Similar Slots: If you like Wealth Spa, you might like these other 5-reel slot machines: Buffet Bonanza, Cashanova, Chocolate Factory, Fearless Frederick, Ladies Nite, Truck Stop.